Loretta Carol Reding was born on April 5, 1936 in Portland, Oregon. She was the daughter of Francis Vrooman and Margaret (Maier) Vrooman. Loretta was the matriarch of her family. She was a wonderful mother who took the best care of her family. She also had been employed as a nurse’s assistant at a hospital and as a salesclerk in retail. She moved to Branson in 1972 from Campbell, California. She was a faithful member of St. Paul’s Lutheran Church in Branson and loved helping and serving in the church. She was also known for her delicious cooking and baking. She not only enjoyed being in the kitchen but enjoyed giving what she made away to family and friends. Loretta entered into rest on Friday, November 30 in Branson. She was preceded in death by her parents, one sister, Deanna Baucom and great grandson, Easton Cayde Gier. She is survived by her children, Cindy Nevins and husband Billy of Blue Eye, Steven Reding of Kenmore, WA, Ken Reding and wife Ginny of Springfield and Wally Reding and wife Dana of Ozark; sister, Debra Olsson of Fresno, CA along with eight grandchildren and thirteen great grandchildren. Services will be Tuesday, December 4, 2018 in Snapp-Bearden Funeral Home and Crematory with visitation beginning at 1:00 P.M. and the funeral service to follow at 2:00 P.M. with Pastor Joel Krueger officiating. Burial will follow in Ozarks Memorial Park Cemetery, Branson. 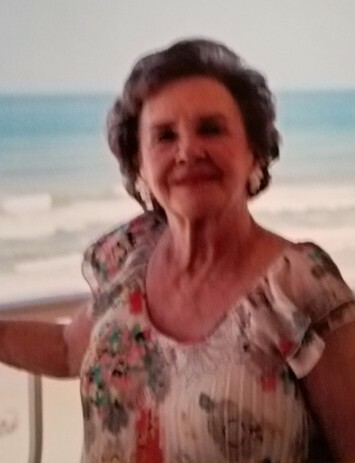 In Loretta’s memory, donations are suggested to Oxford Hospice, 121 Cahill Rd, Suite 203, Branson, MO 65616 or Faith Lutheran Church, 221 Malone, Branson, MO 65616.